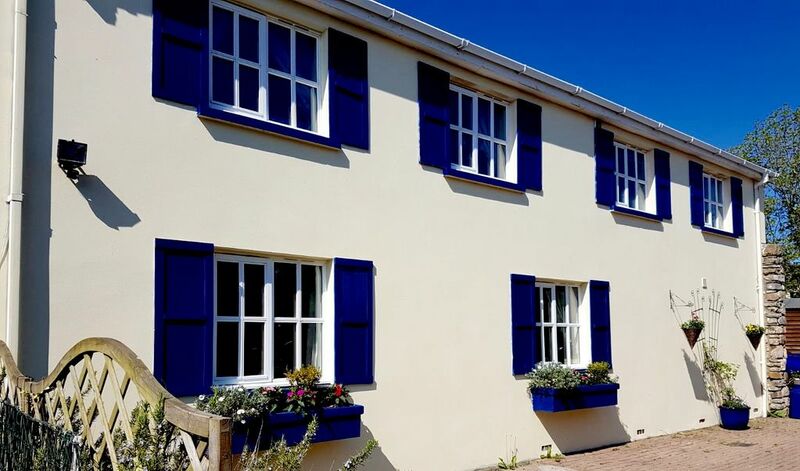 Dolphin Cottage is a Luxury Self Catering Accommodation. It is furnished and fully equipped to the highest standard, making it the perfect getaway- truly a home away from home. It has three bedrooms, sleeping a total of 8 people; A family room with double bed and two single beds, a double bedroom and master bedroom, 3 bathrooms, one of which an en-suite to the master bedroom. The kitchen is fully equipped with all the gadgets a modern family would need including Double Oven, dishwasher, integral fridge/ freezer, microwave, coffee machine etc. large dining area, with table setting for up to 8, leads off the kitchen. The laundry room is equipped with washing machine and tumble dryer, also courtesy washing tablets are provided. To the heart of the home, the family lounge has been decorated with comfort and family times as a priority and it will accommodate all the family. Family-friendly outside garden/ Patio area leads off the lounge. Located by the Cleddau Estuary, there are 3 kayaks available for use with prior arrangement. All bathrooms have complimentary Toiletries. There is a telephone for emergency calls. Country cottage living room, large enough to comfortably sit 10, high quality furnishing ,large coffee table with boardgames for the family. Large flatscreen tv with satellite TV ,Xbox . Dolce gusto coffee machine with a selection of coffee pods provided. Coffee, tea, sugar , a variety of spices. Sits up to ten, perfect for large families and groups. Flat screen TV with satellite tv (sky) Xbox with games Dvd player and a selection of dvd's for all ages. Large patio area for bbq or chilling on the hammock. Seating and table for 8. Gorgeous little garden which is frequented by many little birds . Made available upon request- £20 duration of your stay.